Easy to Use. Flexible. Intelligent. 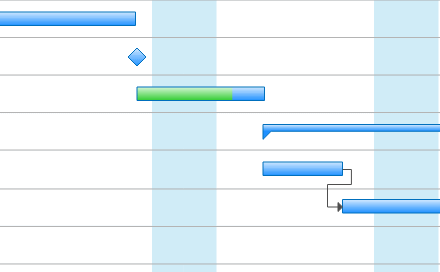 Create professional Gantt chart in minutes on Mac to help schedule, coordinate and track tasks in a project. Start with dynamic and customizable templates. Predefined Gantt chart templates help you create accurate and interactive Gantt charts with ease. The templates are dynamic and data controlled. 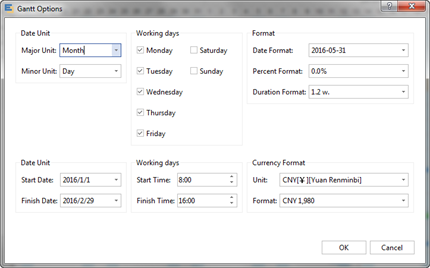 For example, when you change the start date and end date of a task, the task bar will change its length automatically. On the contrary, if you drag to change the task bar length, the end date will also change accordingly. 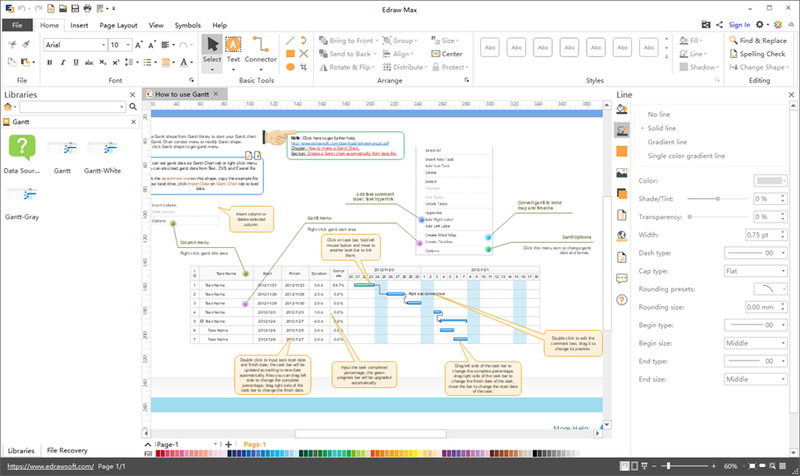 Though Gantt chart looks complicated and intricate, it's not hard to create with Edraw. Simply drag and drop a template and personalize your data either by double clicking on the text or dragging the bars. Inserting more tasks, adding dependencies and milestones, and marking task progress is as easy as clicking and dragging on the chart. No training required at all. Collaboration is essential when planning a project schedule. 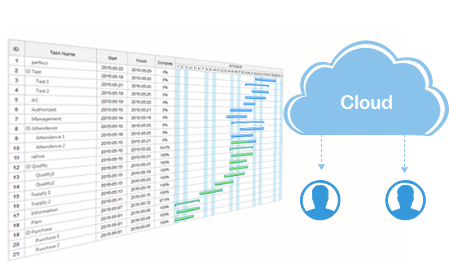 Edraw Gantt chart software provides you with Cloud storage for effective team collaboration. Through a common cloud space, team members can save, update, or comment on the schedule anytime and anywhere. This will help optimize the project plan and improve productivity. Many project management tools are available in the software. You can choose any one you like or use multiple tools together for your work. Your Ultimate Mac Gantt Chart Software! 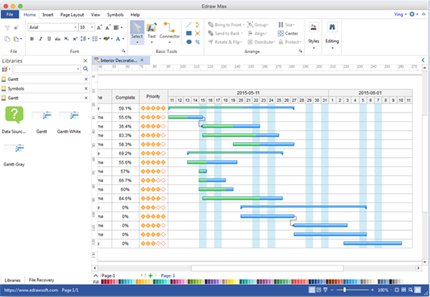 Enjoy creating Gantt Chart on Mac and PC with this easy-to-use software. You'll be surprised by its smart templates, amazed by how easy it works, and satisfied with the service and price. Try it today!